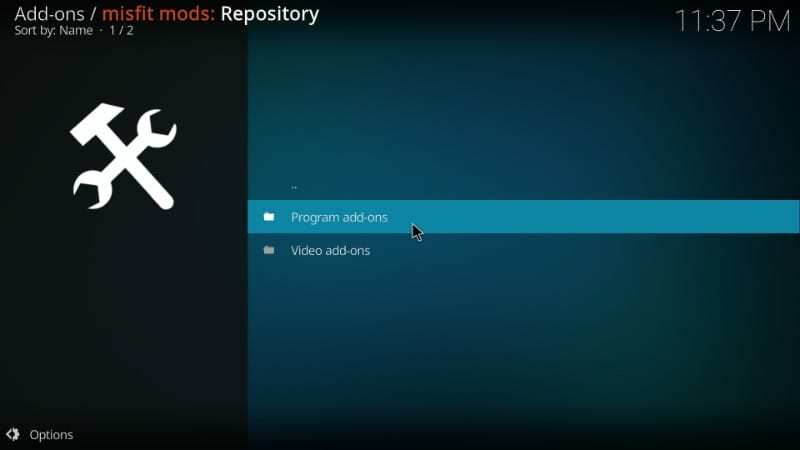 I am going to show you how to install Hard Nox build on Kodi 18.0 Leia and Kodi 17.6 Krypton The images in this guide were captured on a computer, but the process works just as well on all the Kodi devices such as FireStick, Android mobile devices, Android TV etc. 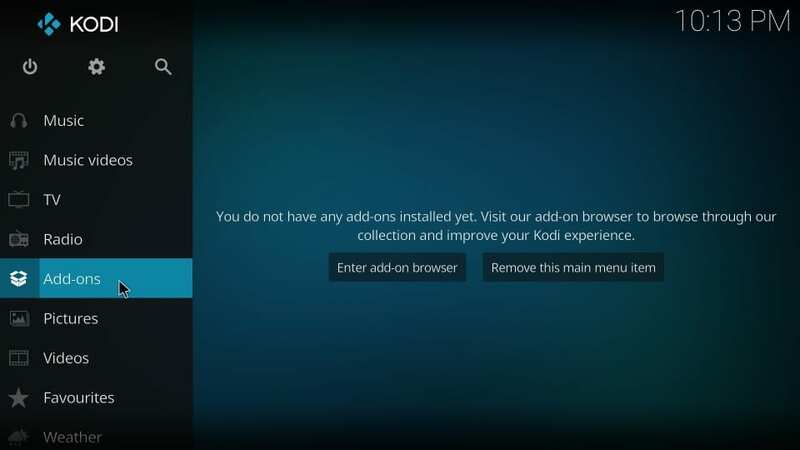 Kodi’s true potential is unleashed through add-ons that are abundantly available on the web. But, there are so many of them to choose from, I often get confused. Yes, I can handpick and install some popular addons, but I am always in need of more. There is so much to watch and I can’t always pick the right addon. 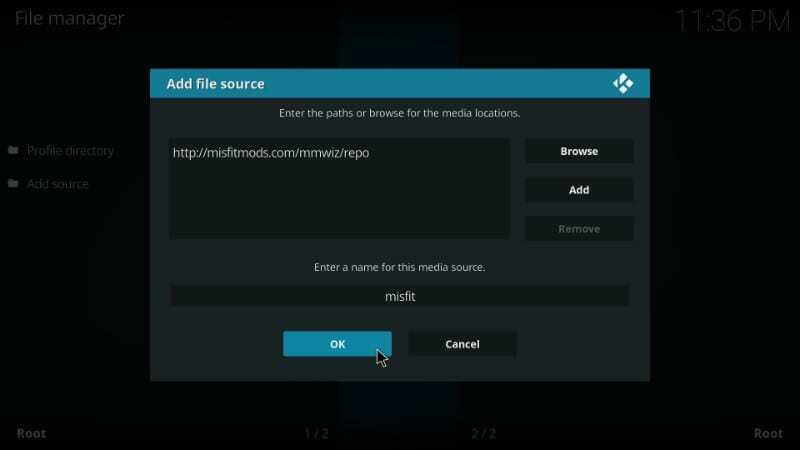 That’s the reason why I have started relying on the Kodi builds like HardNox. 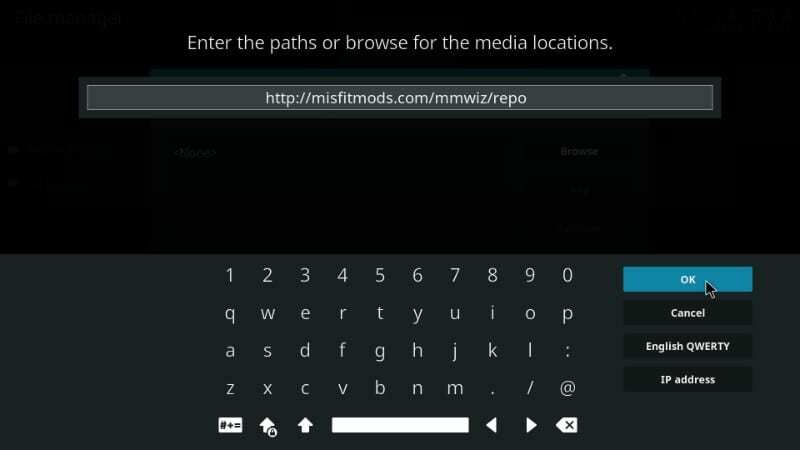 A build like HardNox makes my life easier and my Kodi experience a whole lot better. 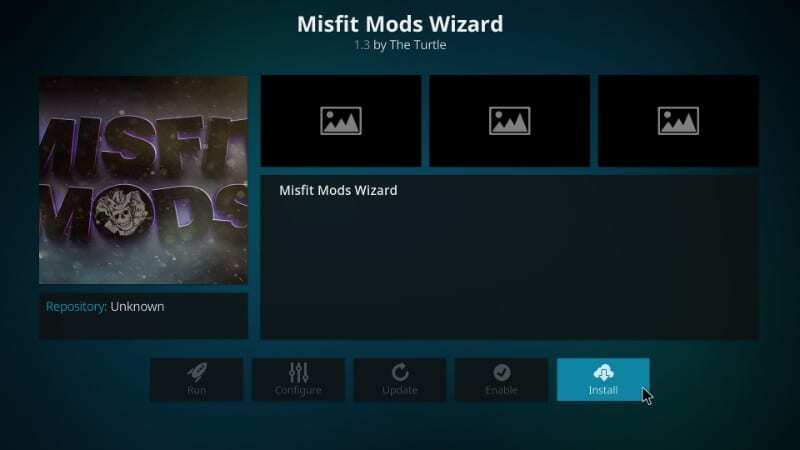 This build packages tons of top-quality add-ons for a wide range of streaming choices. 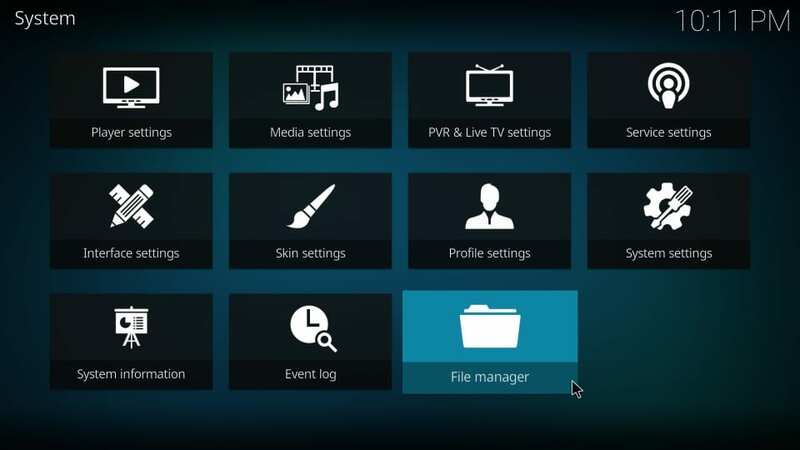 Whether you want to watch movies, TV shows, news, sports content, adult stuff, or even live TV, HardNox Kodi build has it all for you. And, before I forget, let me tell you that most stuff here is free. 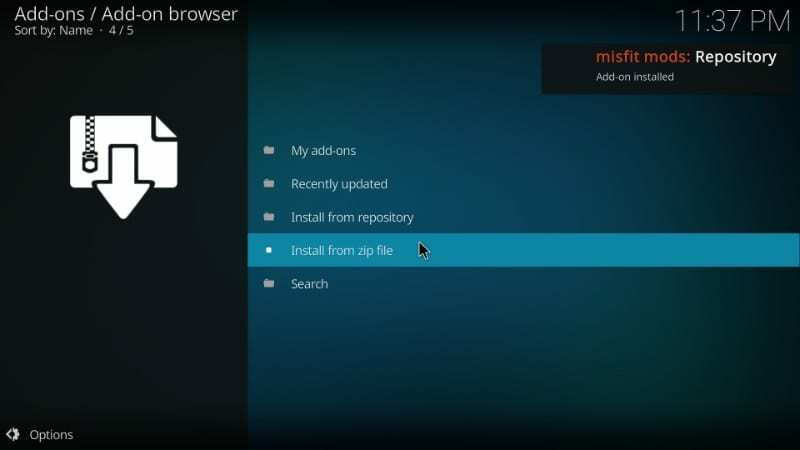 Let me guide you through the step by step process to install Hard Nox build on Kodi. 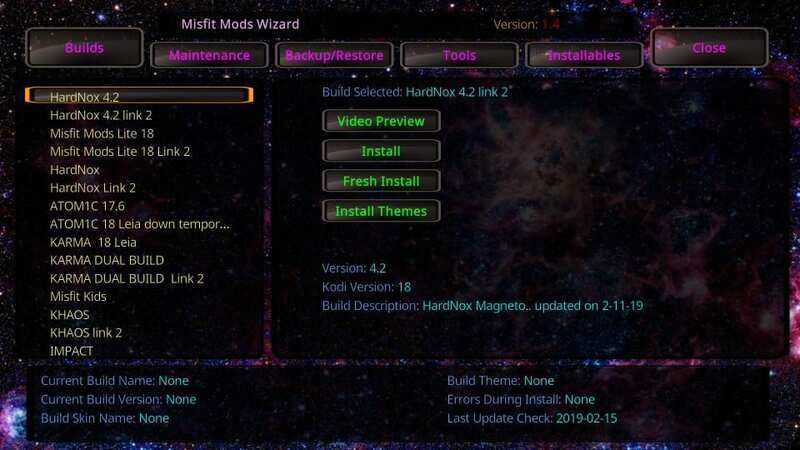 Hard Nox Kodi Build is 100% safe. So, do not hesitate while clicking Yes above. This adds the source. 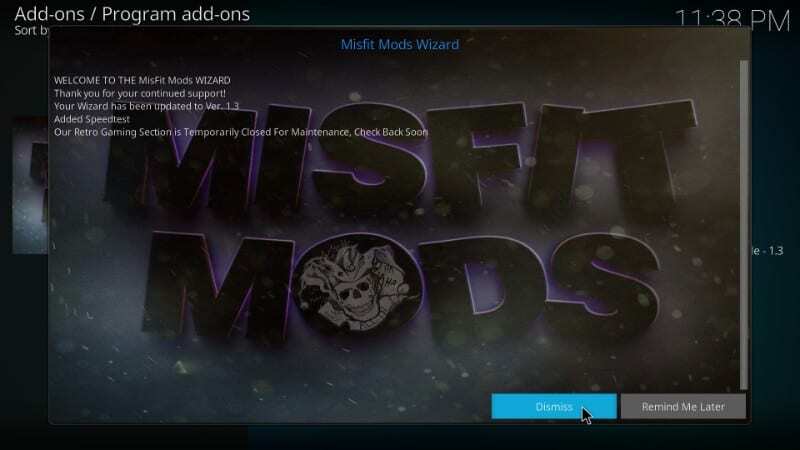 Now, let’s install the Misfit Mods repository. 6. 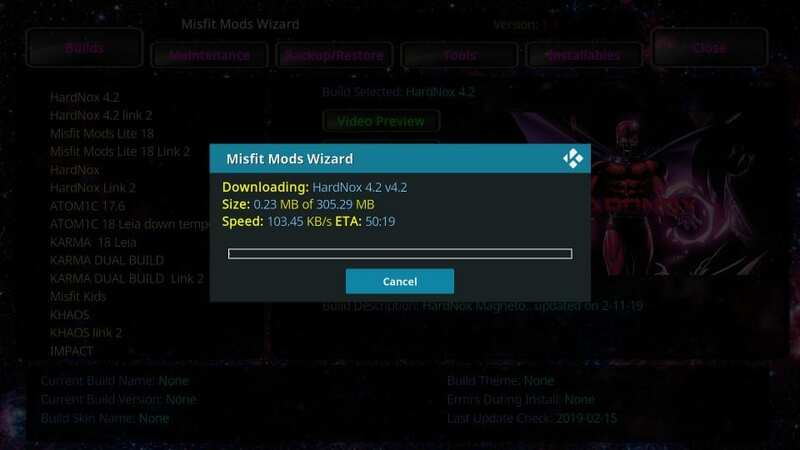 This will start installing the Misfit Mods repository from which we will later install the Misfit Mods Wizard and eventually HardNox build on Kodi. That’s it! 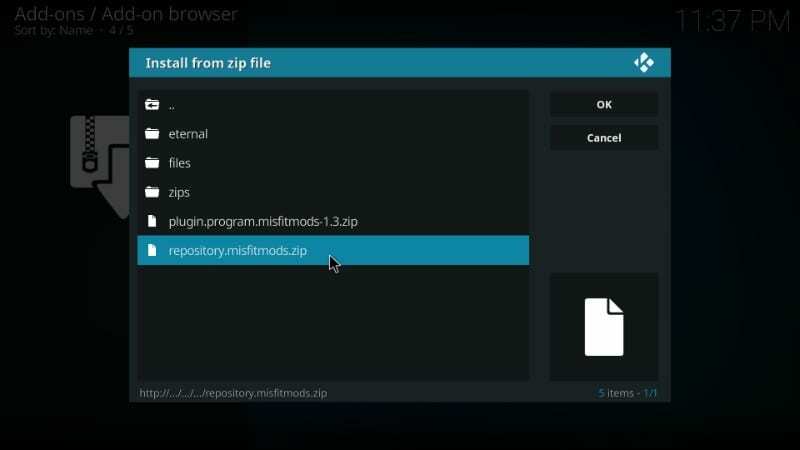 You have installed the repository. 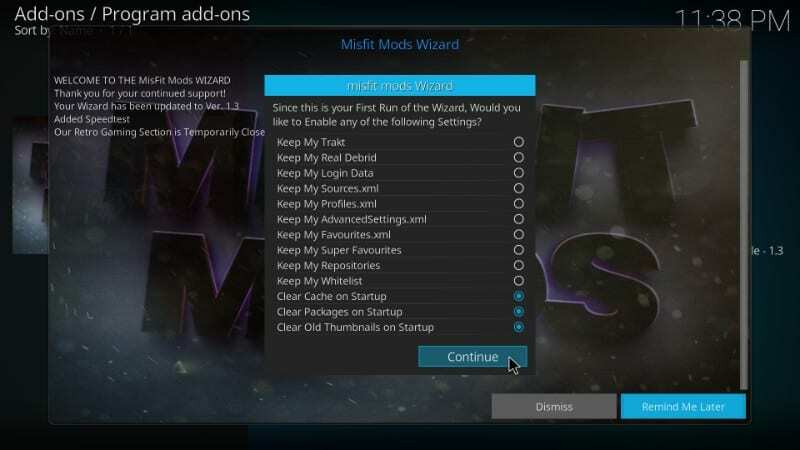 Now we install the Misfit Mods Wizard. 1. 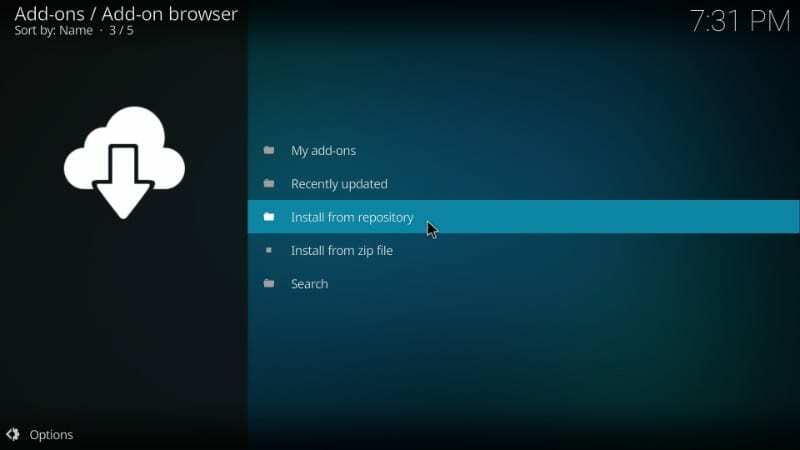 Continue from the last step in the previous section where we waited for the repository installation notification. 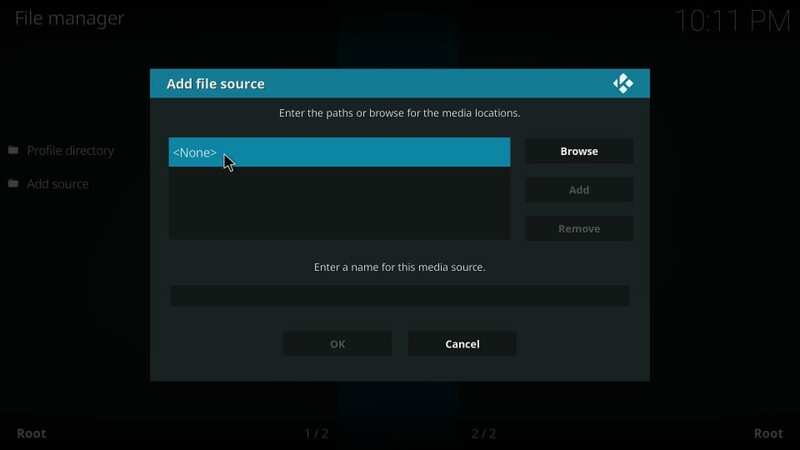 Or If you are on the Kodi home-screen, just click Add-ons, then click Package Installer icon again on the top-left. 7. 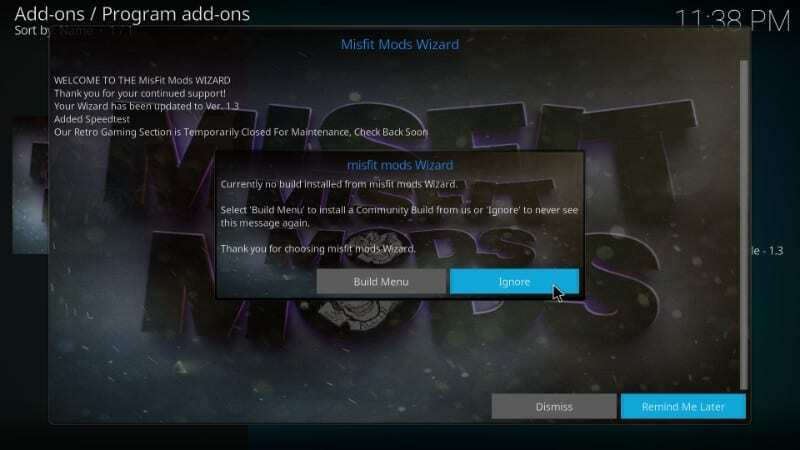 When you see the ‘Misfit Mods Wizard Add-on installed’ notification (like in the image below), it means that the Wizard has been installed. 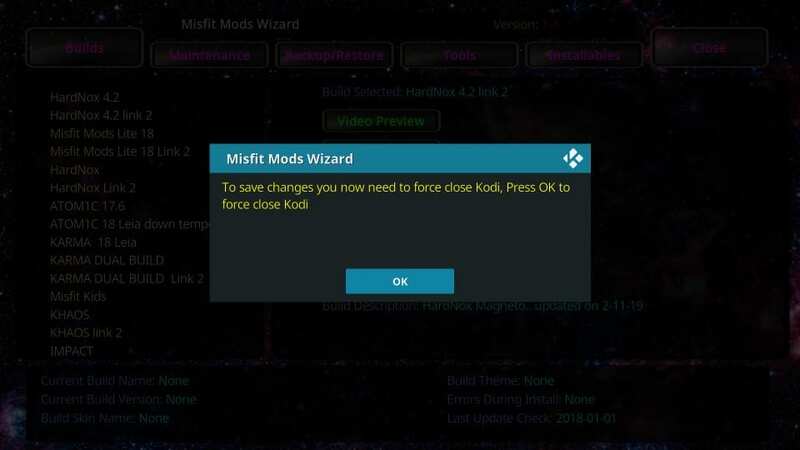 Now, we are going to install the Hard Nox Kodi build from the Misfit Mods Wizard. 1. 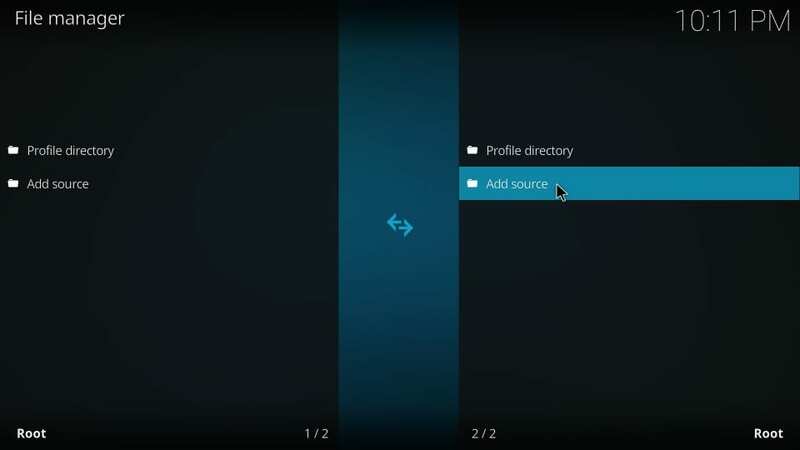 From Kodi home-screen go to Add-ons > Program Add-ons. 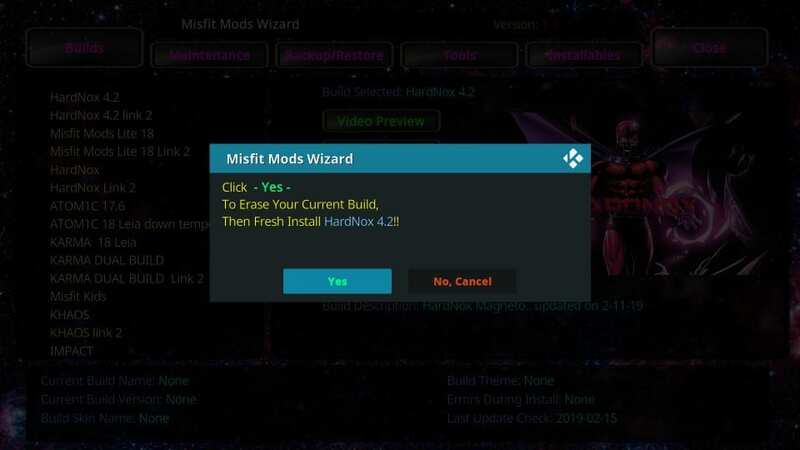 In this section, you will find the Misfit Mods Wizard icon. 5. 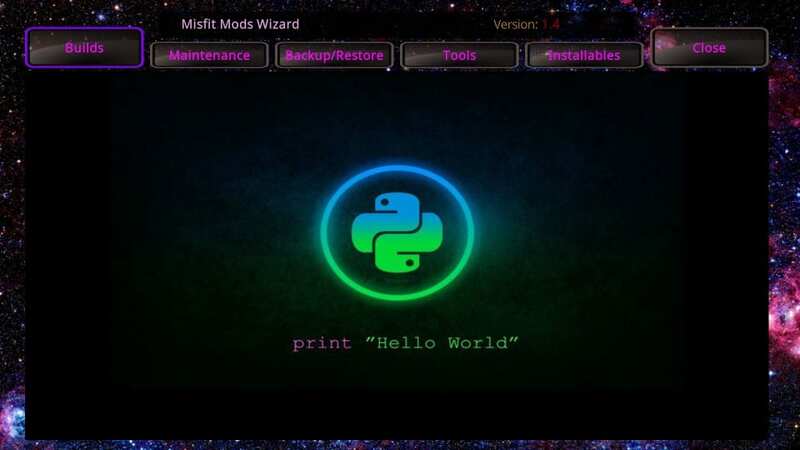 You are presented with two options: Install and Standard Install. 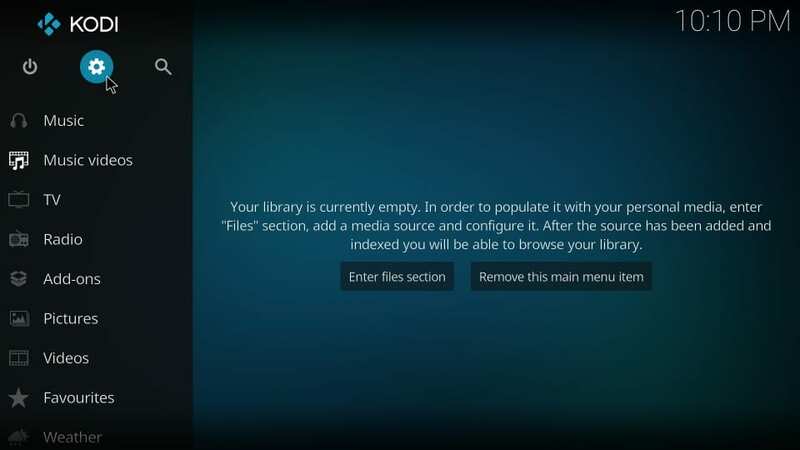 Fresh Install will wipe out all your Kodi data, remove all your addons, and clear all your existing Kodi settings. 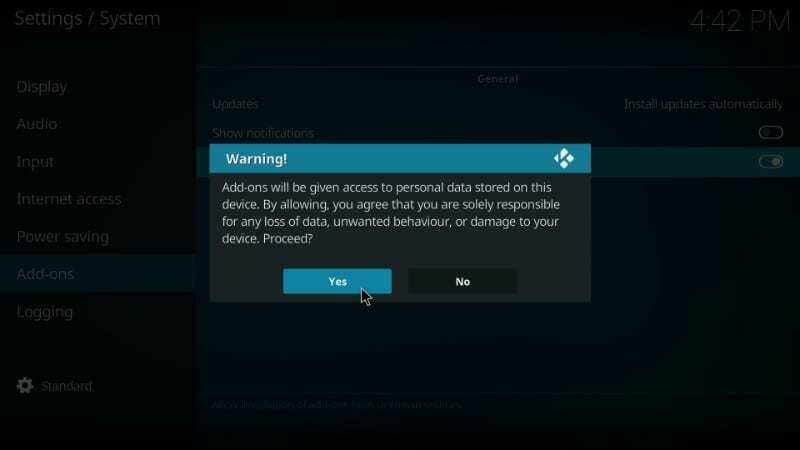 Install, on the other hand, will retain some of the data. 9. 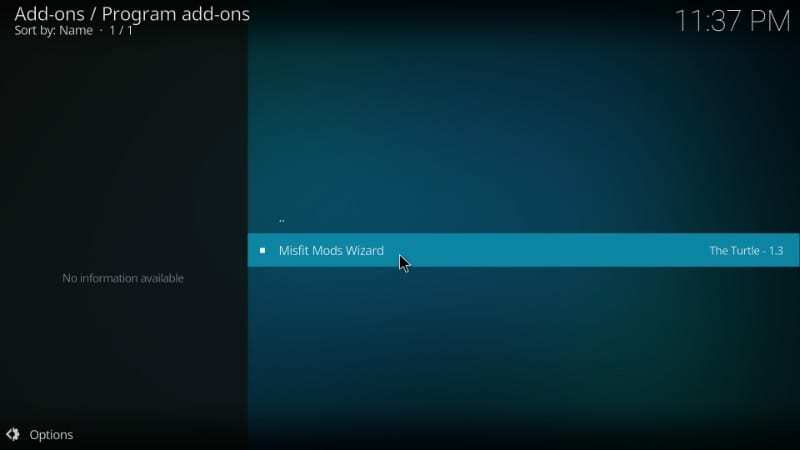 You have successfully installed Hard Nox build on Kodi. 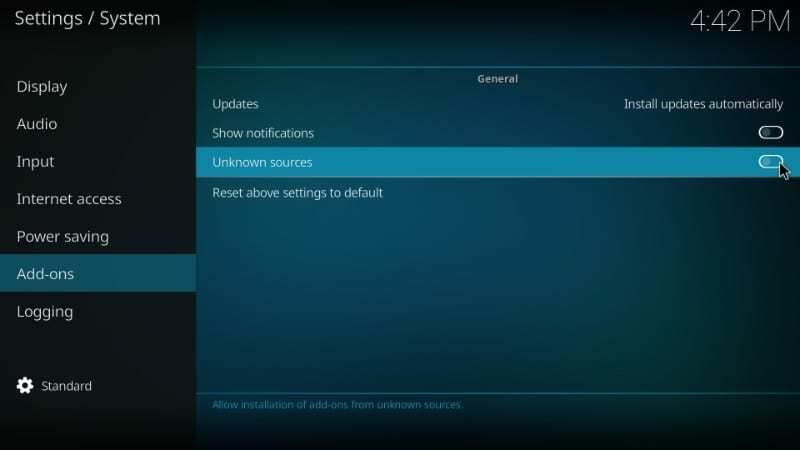 Now, run Kodi again and you will see that the loading/booting screen has changed. 10. 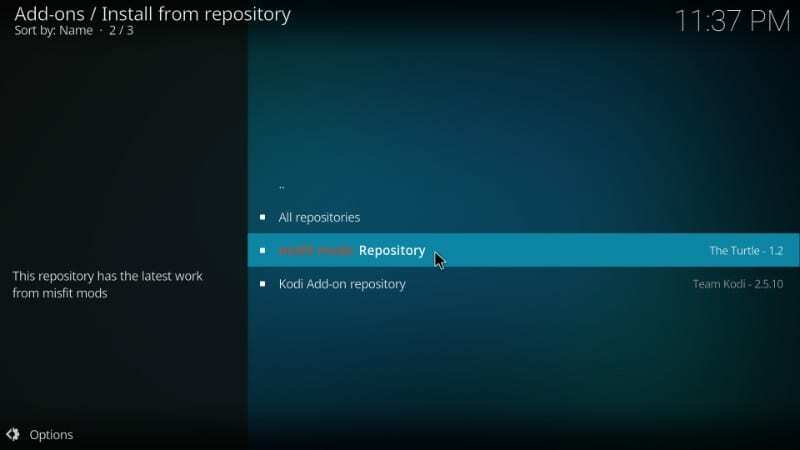 This is how the home-screen of Kodi looks like with the HardNox Kodi build. 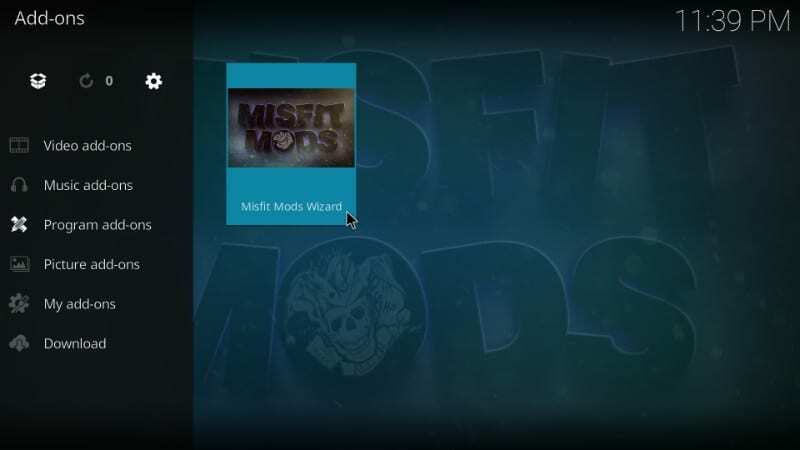 By default, ‘Movies’ option is selected in the menu. 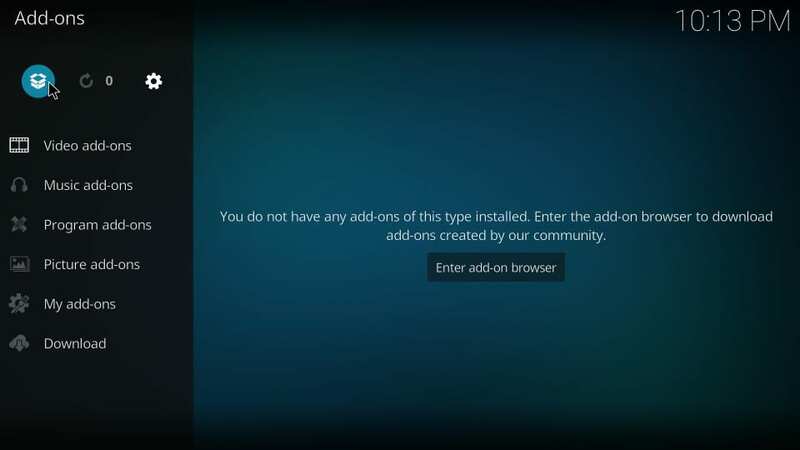 As expected, the build is packed with preinstalled addons. 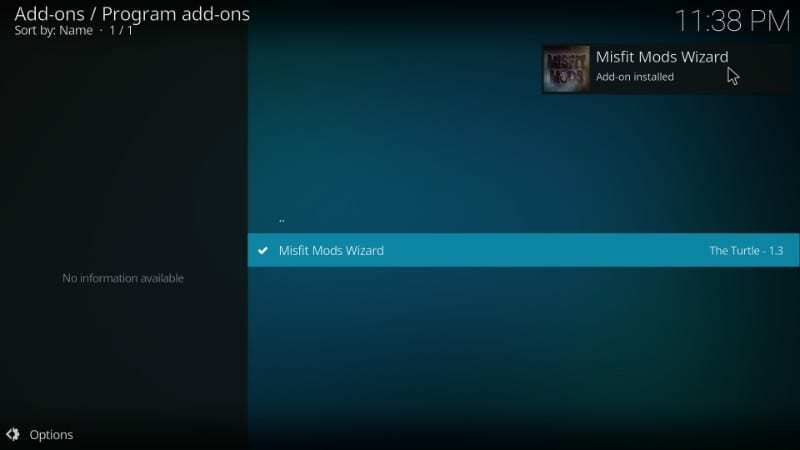 If you would go to Add-ons > Video add-ons from the home screen, you will see the list of all the content related add-ons (check the image below). As would see, there are some solid addons such as DeathStar, The Magic Dragon, Yoda, Monster Munch and others. 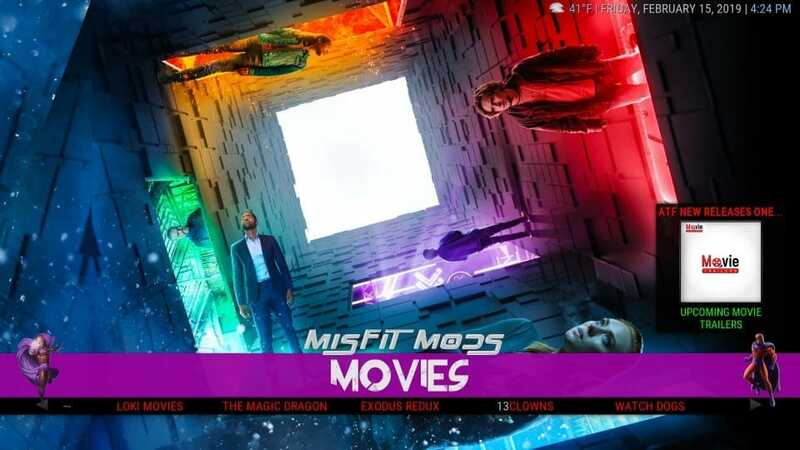 HardNox build for Kodi has addons for all types of content including Movies, TV Shows, Sports, Live TV, and a lot more. 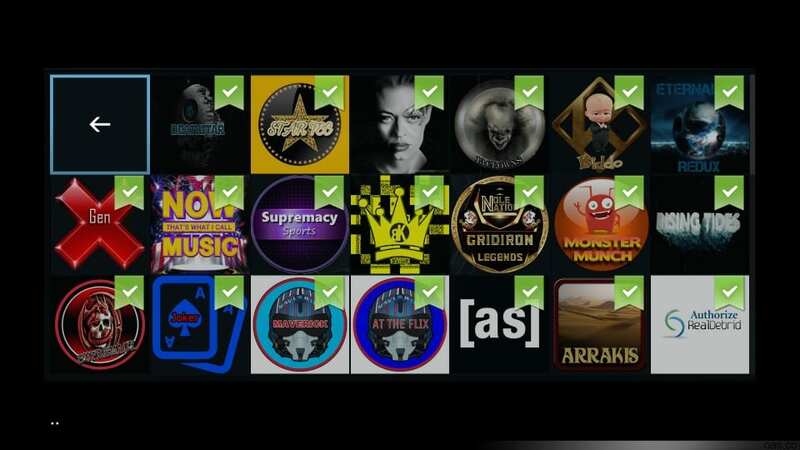 The beauty of Kodi lies in the addons and the builds like Hard Nox make sure you don’t have to work hard to get them. 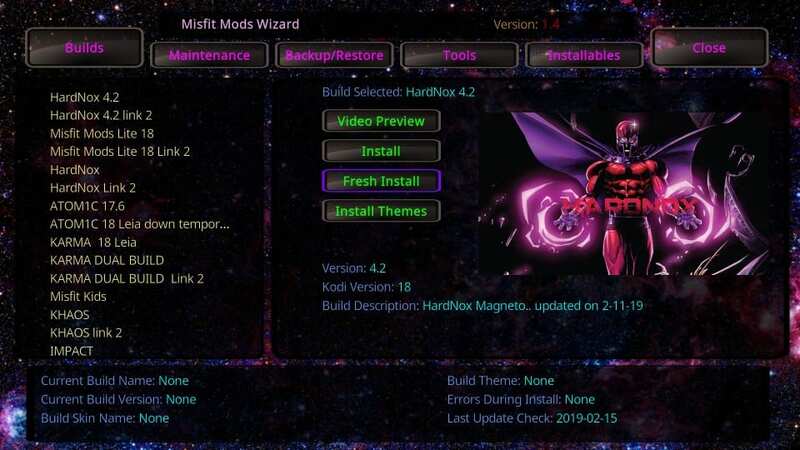 As is evident, Hard Nox Kodi build packs some of the best Kodi addons. 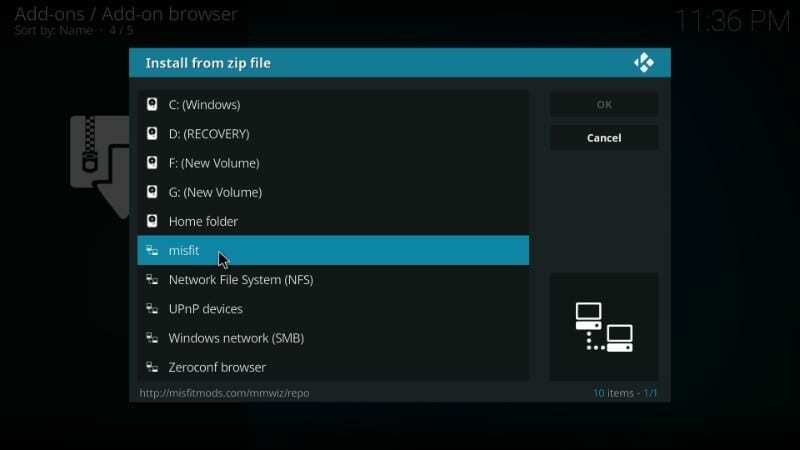 What I also like about Hard Nox Kodi build is that it does not slow down my device. It is lighter than a lot of other builds and works smoothly even on Firestick. Yes, I have used HardNox build on FireStick and other devices and barely experienced any performance differences. All in all, it is one solid Kodi build and certainly deserves a try.